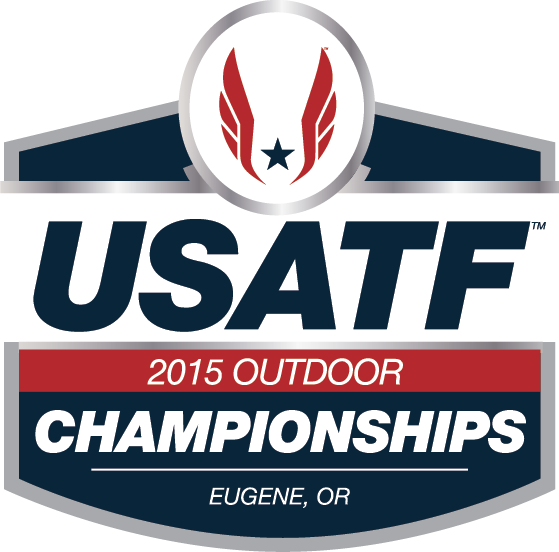 The USA Outdoor Track & Field Championshipsfor open and junior (ages 20 & under) athletes began yesterday on the campus of the University of Oregon in Eugene, Oregon and will run through Sunday. Thirteen (13) open athletes and five (5) junior athletes from Indiana are entered in the championships. Athletes competing in the open championships are vying for spots on Team USA for the IAAF World Championships to be held in late August in Beijing. The top three athletes in each event will qualify for the team. Athletes in the junior championships are contending for Team USA selection for the Pan American Junior Athletics Championships July 31-August 2 in Edmonton, Alberta, Canada. The top 2 finishers in each event will be eligible for selection to the team. Molly Ludlow (Indianapolis, IN / Saucony) and Felisha Johnson highlighted the action for the Indiana athletes on day one of the championships. Johnson (Terre Haute, IN / Nike) finished 7th in the women’s shot put with a throw of 18.24m. Patrick Freeney (South Bend, IN) and Kind Butler (Indianapolis, IN) advanced to the semi-finals in the 400m tonight after running 45.55 and 45.89, respectively. Chris Geisting (Batesville, IN / Notre Dame) also ran the 400m, but failed to advance to the next round with his time of 46.37 seconds. Indiana State standout Katie Wise (Morgantown, IN) sprinted to an 11.24 in the women’s 100m dash, but failed to advance to the next round. She finished 22nd overall. Purdue standout Chukwuebuke Enekwechi (West Lafayette, IN) finished 10th in the hammer throw with a toss of 68.36m. Just two weeks ago, he finished 6th in this event at the NCAA Division I Outdoor Track & Field Championships. Frezer Legesse (Bloomington, IN / Under Armour) finished 28th in the men’s 1500m with a time of 3 minutes, 51.65 seconds. In the junior championship, Adriana Brown (Indianapolis, IN / Kentucky) finished 6th in the discus throw with a toss of 47.91m. In tonight’s action, two-time USA Outdoor Champion Morgan Uceny (Plymouth, IN / adidas) will race the 1500m. Uceny is the #8 seed. Coming in with the #17 seed, Geoggery Davis(Indianapolis, IN) is also scheduled to compete in the high jump tonight. Ayiana Gaines (South Bend, IN / Western Michigan Univ.) comes into the meet with the #2 seed in the junior women’s 400m, scheduled for 2:05 P.M. Adriana Brown (Indianapolis, IN / University of Kentucky) is scheduled to return to competition after finishing 6th in the discus throw last night. The Indianapolis native is seeded #3 in the shot put. Lorenzo Wells (Portage, IN / Central Michigan Univ.) heads into the 100m dash with the #9 seed, while Grant Stamm (Linton, IN / Indiana State) will compete in the 110m hurdles with the #13 seed.